The Impressive Green-Black color combination soft silk saree will make you a show-stopper. The unstitched soft silk blouse adds to the glamour. (Please note that the colours may vary slightly from that in the picture). Designed with simplicity with a touch of soberness. This green and black colored saree has got traditional patterned work done all over the attire which makes it perfect for casual wear & social get together. 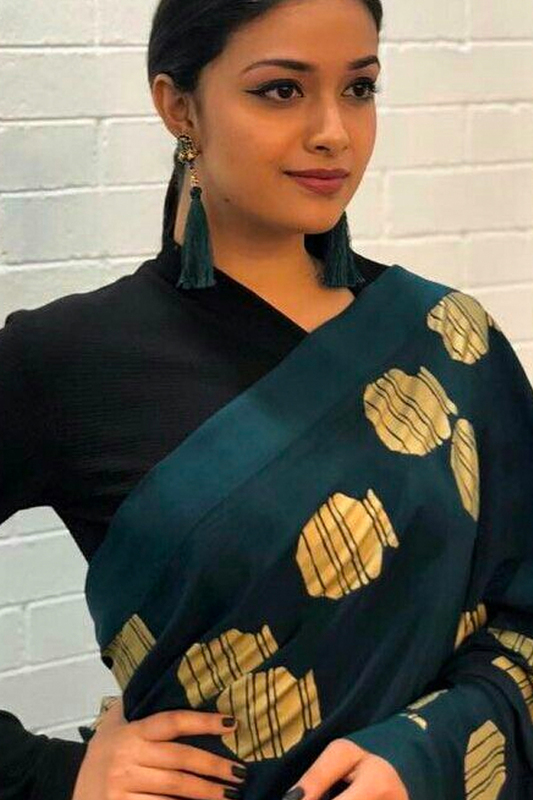 Matching fabric blouse piece comes along with this saree.You can wear these sarees for casual outings, office, regular social meets and other homely events. Pair these with traditionally stylish accessories to complete the look.